For many studios, growth opportunities exist to offer workplace wellness in their surrounding community. If this is something you are thinking about, you may be wondering, "How do I get started?" In this post, I will take you through the steps to follow to determine if this is right for you. First off, you need to take a look at your current market, your facility and staff capabilities. What is your market opportunity? Start off by looking at your current members. Do you have members who work at companies nearby? Where are they in the organization? Are they owners, executive level leaders or in other influential positions? Ask your members if they would be interested in seeing your services offered to their employees. Is there a fit? Next, take a look at local employers in your market area – within a 15-minute travel distance and beyond (if you envision offering services at the worksite vs in studio). Do you have a sufficient density of employers to market to? What kinds of businesses and industries do they represent? Retail, light industrial, services, technology, engineering? How many employees do they have? Are they small (<100 employees), medium (<500 employees) or large, >500 employees and more? Are you located in a business park or a rural area? Retail complex or stand-alone building? What does your studio's ideal client (avatar) look like? Is your avatar compatible with the potential workplace wellness prospects? For example, if you cater to moms with young kids at home and you are surrounded by light manufacturing and warehouse space, would that be a good fit for your business? Next, take a good look at your studio’s resources. Do you have sufficient staff with the time and availability to service workplace wellness? Would you need to hire to cover class times you may not be offering now (such as lunch time)? What expertise do you have on your team? Do you have staff that can speak to groups about fitness, nutrition, rest, proper mindset, as well as teach movement classes? Do you have any staff that have worked in the corporate world before as opposed to young trainers that have only worked in gyms and studios? Are you able to support your team to get the necessary training or certifications to support workplace wellness? What about your facility? Is it ready to accommodate the needs of the employer market? Do you have the space? What about sufficient equipment? How about locker rooms? If you get an influx of new members during the noon hour, will they be able to get showered and back to work in a timely manner? You are not going to save them money on health care costs! I know this is what everybody promises, but the truth is it's extremely difficult to prove. What is your off-site capability? Much of the potential for revenue growth to your business comes if you are able to offer services at the employer worksite. This can expand your market area beyond the typical 15-minute travel time since you are sending the staff to them vs. getting them inside your studio. Is your programming adaptable to an off-site location? What space is required? Can you use conference rooms, hallways, open spaces, parks etc. for classes? Do you have staff that you can send out? Are they creative, flexible and have an understanding of the workplace environment and culture? What problem are you solving for employer? Here’s a clue – you are not going to save them money on health care costs! I know this is what everybody promises, but the truth is it's extremely difficult to prove. It takes massive data collection and analysis and even then, the results are sketchy at best. So don’t go there! You are better off if look for employers that have already decided that they want to offer wellness options to their employees because they care for their people. Once they have “drunk the Kool-Aid” it is much easier to identify how your offerings can help them. Remember to stick to your expertise!! If you operate a Crossfit® box and an employer is looking for yoga and Pilates, you may not be offering what they need. You want to lead with your strengths, not try to scramble to fill a need that is outside your wheelhouse. If you have the right combination of market, staff expertise and a strong understanding of your unique value proposition, your studio could have a new revenue opportunity in the workplace wellness space. Dave is a fitness and health innovator on a mission to help people Move More. Eat Better. Live Better - Intentionally! He brings over 35 years of fitness industry experience starting in clubs and equipment sales to over 20 years delivering workplace wellness programs at Fortune 100 employers. He is recognized as a thought leader who is not afraid to challenge conventional wisdom, a creative problem solver. Now as an entrepreneur, he is helping to disrupt and reshape the fitness industry to better serve those who need it most. 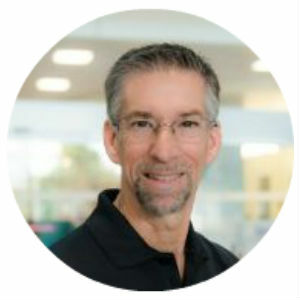 Dave holds BS degrees in Marketing and Exercise Science from Oregon State University and an M.S in Clinical Exercise Physiology from UC Davis. As a military veteran Dave is deeply passionate about the challenges faced by our service men and women who are making the transition from military to civilian life. Dave is a musician and lead singer in a band, an avid skier, motorcycle rider and scuba diver. He loves to travel with his wife of 24 years. He has been known to enjoy the health attributes of a good red wine on occasion and is now happily exploring all the amazing craft beer creations from local brew houses. Does Your Equipment Help You Get and Retain Clients?